Roberta Marquez and Steven McRae in The Dream. © Dave Morgan. The recent death of Alexander Grant, one of Frederick Ashton’s closest associates, and to whom Ashton had left his ballets La Fille Mal Gardée and Facade, has sharpened anxieties over the preservation of the choreographer’s work. 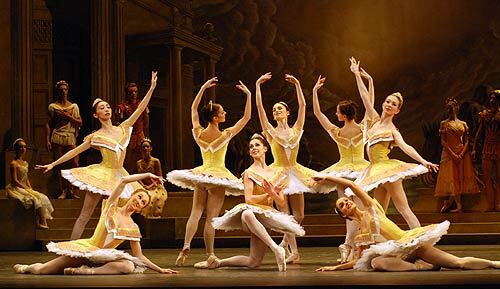 The surviving dancers on whom Ashton created his ballets are elderly; if the Ashton inheritance is not to be lost, there is much to do – and soon – in securing it for future performers and audiences. In October 2011 a new Frederick Ashton Foundation announced itself with the avowed aim of perpetuating the choreographer’s legacy. The Foundation explained that it would liaise closely with the existing Ashton ballet copyright holders, working with them to develop the skills of those who would be registered to teach, coach and stage Ashton’s ballets in the future. Its members include Anthony Russell-Roberts, Ashton’s nephew, The Royal Ballet’s director Monica Mason and her successor Kevin O’Hare, along with Jeanetta Lawrence, Tony Dyson, and Felicity Clark. Christopher Nourse, Administrative Director, Frederick Ashton Foundation . © Brendan McCarthy. Those who remembered a similar announcement of a Frederick Ashton Trust in 2004 may have been a little surprised at this. The Trust had similar aspirations, but they remain unrealised. So where did it all go wrong and what is different this time? The reality, as Christopher Nourse, the Foundation’s administrative director, explains, is that the Trust was little more than an informal grouping of the ballet owners. 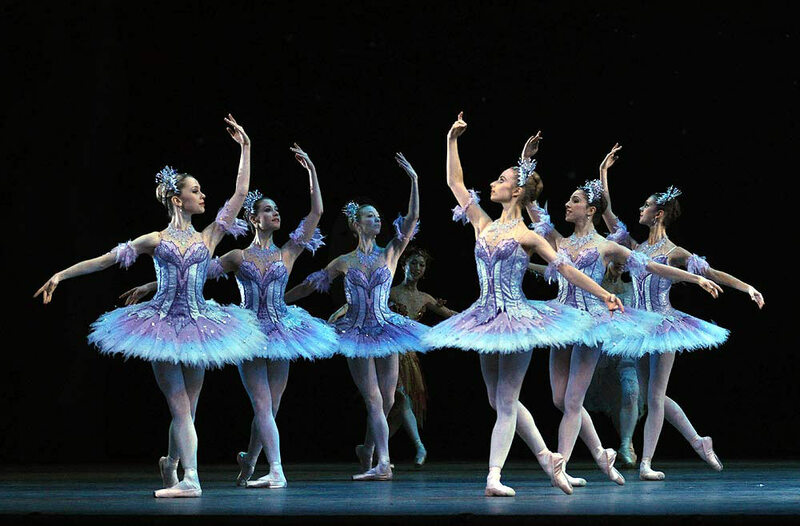 “The hope was that it would take on a similar role to the Balanchine Foundation. But there was no money. As the owners had a commercial interest in the works, charitable status was not an option. And in Britain such status is the only basis for attracting funding”. The Foundation, in contrast to the Ashton Trust, is registered with the Charity Commission and it has secure funding for the first three years. 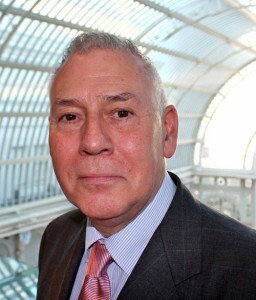 The Tomlinson Family, one of the Royal Opera House’s biggest donors, has come on board. This means that work can finally begin on the creation of an Ashton archive and website, and on training a cadre of approved producers and repetiteurs. Frederick Ashton died in 1988. In some ways, his legacy has been more honoured by academics than by the professional dance world: examples are David Vaughan’s magisterial survey, Ashton and his Ballets; Stephanie Jordan’s Ashton Conference at Roehampton in 1994, and Ashton to Stravinsky, Jordan’s analytic film collaboration with Geraldine Morris. Christopher Newton’s re-staging of Sylvia was a notable contribution to Ashton scholarship from the Royal Ballet. But another work, Persephone, which was at the limits of revivability, has now slipped away. Persephone might have survived had there been a real endeavour in the early years after Ashton’s death to document his work and style. The lapse of time has had inevitable consequences. “Everyone would agree that in some ways things have been lost”, Nourse concedes. “But I don’t think there has been a specific deterioration in the last six or seven years and things are not in a parlous state. Having said that, clearly as time moves on, and the older people get, the fewer people there will be around who have had direct contact with Ashton. So it is really important that the insights of the Dowells, Sibleys, Seymours, the dancers on whom Ashton created roles, are captured”. Alina Cojocaru in Symphonic Variations. © John Ross. Ashton himself did little to assist the preservation of his legacy. He thought his works would quickly be considered passé and fall into neglect. In his will, made the year before he died, he left “all royalties and profits from my copyrights” to a small group of friends. Royalties from Enigma Variations and Monotones I and II were left to his architect friend Tony Dyson; from Cinderella and Symphonic Variations to Michael Somes; from Les Patineurs and Les Rendezvous to Brian Shaw; from Ondine and Daphnis and Chloe to Margot Fonteyn; from La Fille Mal Gardée and Façade to Alexander Grant; and from The Dream and A Month in the Country to Anthony Dowell. The remaining works went to his nephew Anthony Russell-Roberts, who until 2009 was the administrative director of the Royal Ballet. Enigma Variations: Richard Baxter Townsend (Alastair Marriott) with Country Boy and Sailor Boy (Tristan dyer, James Wilkie). © Dave Morgan. The will was appallingly drafted. Ashton had spurned offers of expert help. Instead he asked a junior clerk with the Midland Bank to help him draw it up. His only concern was to leave gifts to those who were close to him. But even in this, he failed to spell out his intentions. The will specified “royalties and profits”, but not, explicitly, copyright. It was a mess. But the consequences did not become apparent for some time. Initially, the individual legatees negotiated with companies, asserting quality control as they saw fit. According to Tony Dyson, “People were looking after their own ballets, perhaps being a bit possessive and not having a terribly broad view of the way things should be. But they were produced as they would have been when Fred was alive.” There was some early discussion of the need for a Trust, but Michael Somes and Brian Shaw objected. Their case was that that they knew the ballets better than anyone- so why was a trust necessary? Somes’ ability to stage Ashton’s works was unquestioned, but Brian Shaw was utterly lacking in the temperament to stage the works himself. Star in Cinderella. © John Ross. And so the question lay until several of the legatees died, with their royalties being willed on to a second set of inheritors. Cinderella and Symphonic Variations, originally left to Michael Somes, passed to his widow Wendy Ellis Somes. In the case of Brian Shaw and Margot Fonteyn, works are now at several removes from the original bequest. Les Patineurs and Rendezvous, first willed to Shaw, were then left to Allard Tobin, and are now owned by Derek Rencher, while Ondine and Daphnis and Chloe, left to Margot Fonteyn, passed to her brother Felix, who in turn left them to his widow Phoebe. Ondine has since been inherited by Rosita Arias de Vallarino, daughter of Fonteyn’s husband Tito, who lives in Panama, while Daphnis and Chloe is now owned by Felix and Phoebe’s daughter, Lavinia Exham, who lives in Spain. 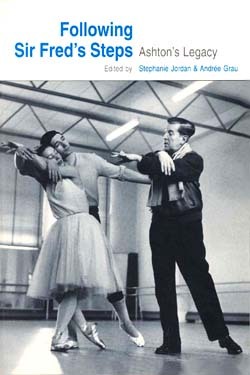 Alexander Grant bequeathed Fille to Jean-Pierre Gasquet, his partner of more than fifty years, while Façade was left to Gary Grant, his brother and ex-Royal Ballet dancer. Ashton’s will left room for legal dispute over the issue of intellectual copyright. Anthony Russell-Roberts took the pragmatic view that his uncle had not understood the full implications of his will. When I interviewed him in 2004 for Dance Now, he told me “I said: ‘this is all ridiculous: it is quite clear that Fred wanted his friends to benefit, so the last thing that friends would do is quarrel.’ I then made sure that each person would have uncontested copyright.” Russell-Roberts, as residual legatee, also decided that Peter Schaufuss should have ownership of Romeo and Juliet. Although Ashton had made no provision for this in his will, Russell-Roberts subsequently learned that Ashton had intended to leave the ballet to Schaufuss and so decided to honour Ashton’s wishes by transferring ownership to him. Natalia Osipova and Ivan Vasiliev in the Peter Schaufuss '21st century' version of Ashton's Romeo and Juliet. © Dave Morgan. In 2004, the year of Ashton’s centenary, Tony Dyson and Anthony Russell-Roberts announced the founding of the embryonic Ashton Trust. Individual trustees were beginning to be concerned that the works be cared for properly after their deaths. Earlier qualms about a Trust had been overcome; there were even hopes (which were never realised) that individual rights-holders would cede artistic control to the Trust after their deaths. Miyako Yoshida in Scenes de Ballet. © John Ross. One obvious model for the Foundation’s work is that of the MacMillan Estate. Deborah MacMillan has been a powerful advocate for her husband’s work; she has commissioned film interviews with the choreographer’s former associates, a series of film master classes in which dancers on whom Kenneth MacMillan created roles coach younger dancers and, more recently, a website. There is a group of approved stagers and Deborah MacMillan keeps an eye ahead to stagers of the future. 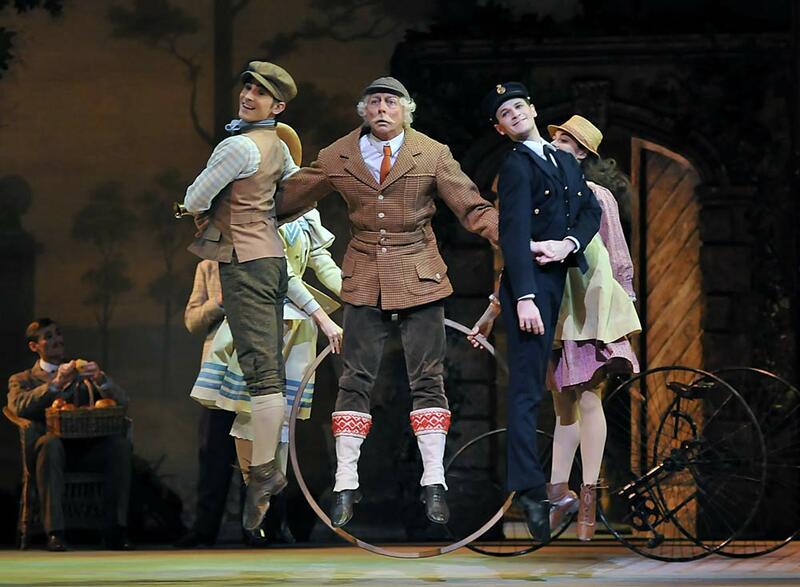 Jose Martin as Alain in La Fille Mal Gardee. © John Ross. Advocacy of the Ashton works is more complicated as the real treasure trove lies in his one-act ballets. 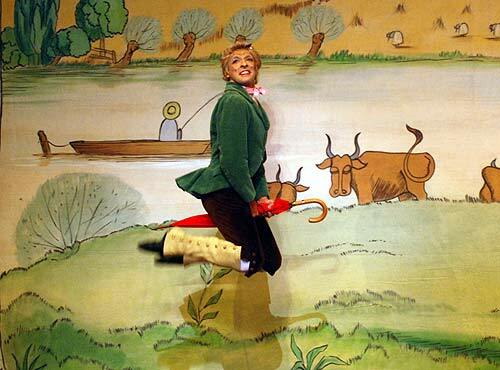 Only the three-act Fille has anything like MacMillan’s box-office appeal. In a world of budget cuts in which artistic directors stay with the tried and tested, the triple bill is something of an endangered species. Of course this is not an inevitable obstacle. Advocacy can make a difference and it seems extraordinary that while some one hundred companies around the world perform Balanchine’s ballets, Ashton’s works – in contrast – are being performed by perhaps twenty. Brendan: An elegant exposition. I’m delighted to see you appear here and hope that we may hear more from you than I ever see in The Tablet! With things having run into the sand after the 2004 initiative, it will be interesting to see how successful the Foundation can be. Specifically, will financial backing be sufficient to overcome the increasingly disparate condition of the Ashton legacy that you describe? “Generally their attitude is one of support” suggests that some legatees have still to be convinced. Deborah MacMillan is, of course, in a much more powerful position by virtue of her husband’s legacy devolving in toto to her. And yet – in the long run, when the 70 years of copyright protection have expired, I wonder how much it will all matter? Think of the specialist disputes over how JS Bach’s choral work should be performed – had there been a ‘Bach Foundation’ we might have known whether a single voice to a part was how it was done but, if so, would that negate the value of performances by larger forces to which we are accustomed? And if we accept that dancers today are of a more ‘athletic’ build than just 50 years ago, and that ballets look different as a result, where might matters be in another 50, when elements of today’s contemporary dance have become mainstream? But enough Devil’s Advocate – anything that helps preserve “Enigma Variations” for the remainder of my days will be very welcome! I hope that the Foundation does not just concentrate the Dowells, Seymour’s and Sibley’s, important as their contribution is, but also consults other dancers still with us who were in the first productions of Ashton’s ballets, or who were coached by him personally. For instance, Valerie Taylor was the female slave in the second act of the original Sylvia and her recollection of the action differs in some details from what is now performed. We shouldn’t necessarily change today’s version, but it would be good to know what was originally danced. And wouldn’t it be good to get “Creatures of Prometheus” recorded while the dancers on whom it was made are still around. Or to talk to someone like Vyvyan Lorrayne about the roles Ashton made for her in Monotones, Enigma Variations and (a nice little pas de deux) Regatta.